THE NEWSLETTER is published every Friday afternoon and e-mailed to all constituencies of St. Andrew’s. If you wish to be added to our e-mail list please sign up below. 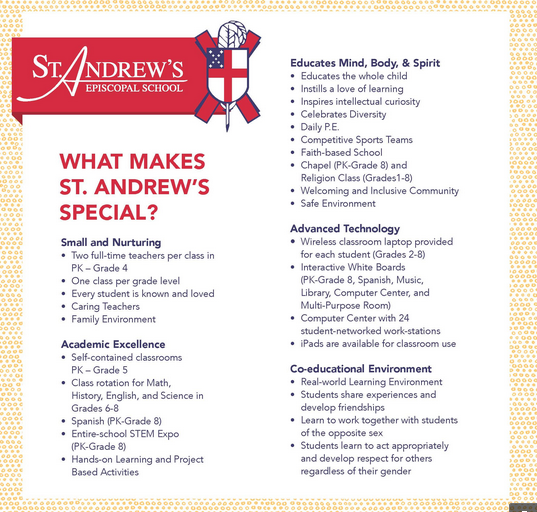 If you have news to share in the publication please submit via e-mail at mparsons@standrewsepiscopalschool.org by 12:00 noon on the Thursday prior. I would like to be added to the mailing list.